"Understand the Challenges and Trends in Workplace Utilisation"
Trends in workplace utilization are an evolution of what has been happening in the workplace over the last decade. Managing and allocating shared workspace is a constant challenge for both public and private organizations. This challenge exists due to organizations having to meet functional space demands using limited resources. What the reasons for implementing shared workspace programmes and the issues in managing shared workspace are. How the workspace must be utilized and how cost with shared workspace can be reduced. What the critical success factors that should be considered by any workspace management program are. 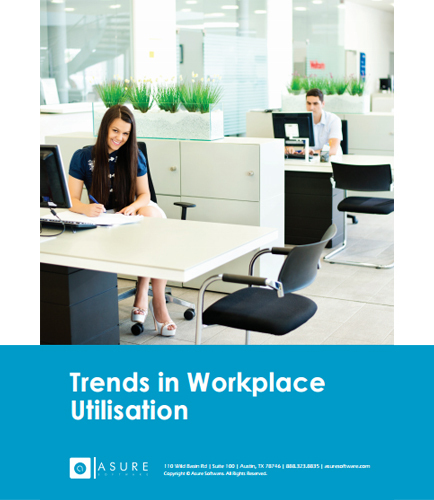 Download this whitepaper, Trends in Workplace Utilisation, to learn the results of this global survey of workplace managers.